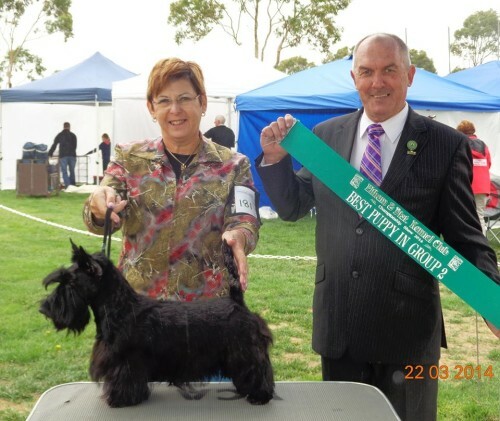 Achievements: While Penny was being campaigned she was one of the top rising star Terriers in Australia. Gaining her Australian Championship at the age of 8mths. she won numerous class in shows.